LETHBRIDGE, Alta. — It was an agonizing way to lose, but in the big picture, it was a huge step forward for Canada at the 2017 World Mixed Doubles Curling Championship. 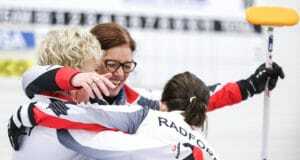 It was a memorable day for Team Canada on Saturday at the World Senior Curling Championships. LETHBRIDGE, Alta. 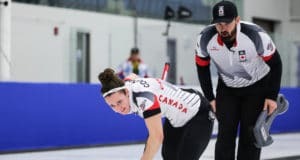 — The first job is done, and one more remains for Canada’s Joanne Courtney and Reid Carruthers at the 2017 World Mixed Doubles Curling Championship in Lethbridge. LETHBRIDGE, Alta. 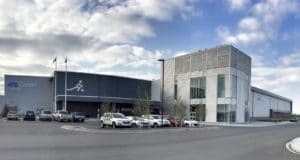 — Both of Canada’s teams will play for gold medals on Saturday at the World Senior Curling Championships at the ATB Centre in Lethbridge. LETHBRIDGE, Alta. — Bring on the playoffs. Team Canada’s Joanne Courtney and Reid Carruthers lost their final round-robin game Thursday afternoon at the 2017 World Mixed Doubles Curling Championship in Lethbridge, bowing 8-6 to the U.S. sibling team of Becca Hamilton and Matt Hamilton. LETHBRIDGE, Alta. — Another day, another grind, but it was good enough for Canada’s Joanne Courtney and Reid Carruthers to clinch a playoff spot at the 2017 World Mixed Doubles Curling Championship in Lethbridge. LETHBRIDGE, Alta. — Canada’s Joanne Courtney and Reid Carruthers rallied from a three-point deficit with two ends to play to record a stunning 10-6 win over Germany Tuesday night at the 2017 World Mixed Doubles Curling Championship at the ATB Centre. LETHBRIDGE, Alta. 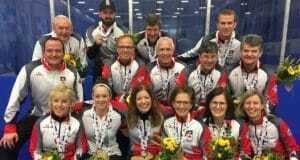 — Canada’s men’s and women’s teams racked up two more victories in early games Tuesday at the 2017 World Senior Curling Championships at the ATB Centre in Lethbridge. LETHBRIDGE, Alta. — It was a perfect opening for Team Canada at the 2017 World Senior Curling Championships. 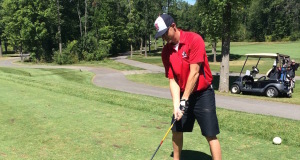 COLLINGWOOD, Ont. 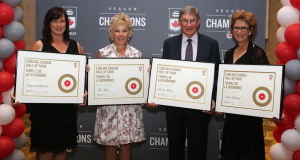 — Curling Canada’s Hall of Fame welcomed its class of 2015 on Tuesday night, with one name not previously announced being added to the list. 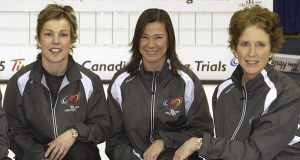 Three of the most accomplished curlers in the sport’s history will be added to the Curling Canada Hall of Fame, it was announced today.